Westfield House Self Catering is a traditional property that offers spacious accommodation for 7 people. 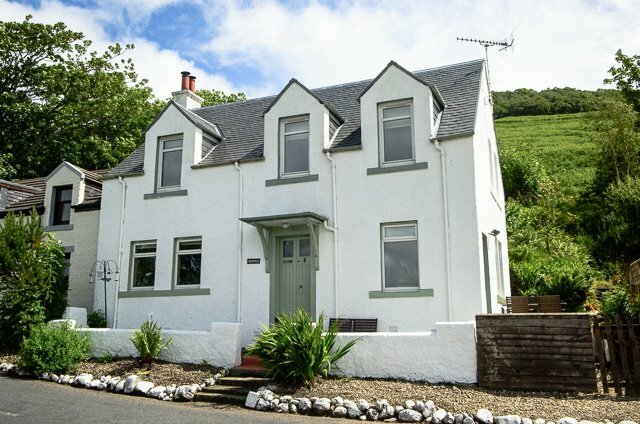 The holiday cottage lies in Whitefarland, a pretty clachan on the Isle of Arran & approximately 1 mile from Pirnmill. There is a light & airy living room that provides a great place to relax in the evening with a good book. There is a lovely farmhouse style kitchen & a raised terrace that offers panoramic views. Whitefarland is a picturesque area that is perfect for those looking for an active holiday in the great outdoors. There are various walks surrounded the property as well as 7 golf courses. Arran’s wildlife is abundant and you may get chance to spot seals, otters, deer and even eagles.